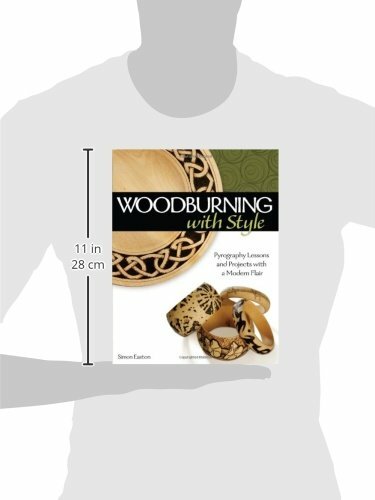 A Contemporary Twist on Woodburning Basics. 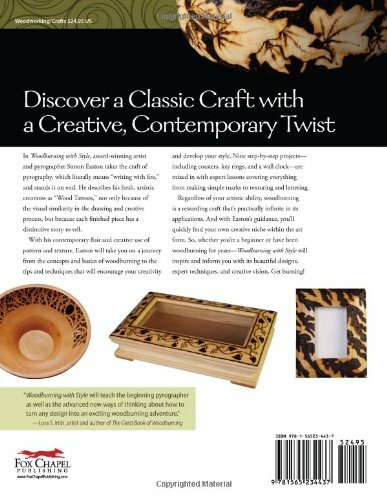 Award-winning artist and pyrographer Simon Easton guides you through nine woodburning projects, while encouraging you to develop your own style. 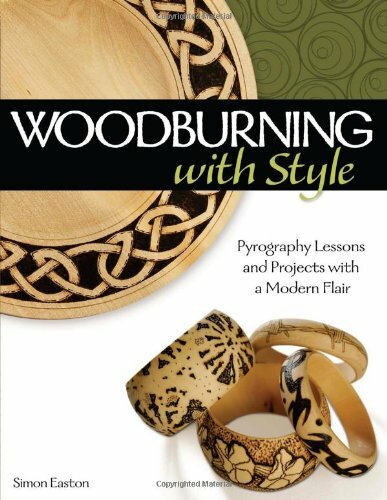 This beautifully photographed, hands-on instructional guide to the art of pyrography will take you on a journey of skill-building lessons to create attractive projects with this hands-on book. Begin at the basics and finish with stylish, gift-worthy projects!